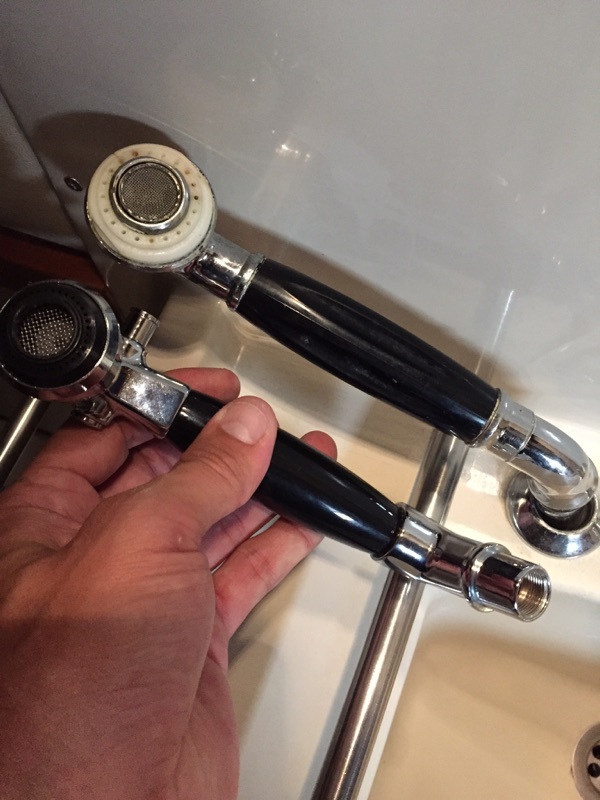 While I was working on the other plumbing needs for Cerulean, we started to look at the shower heads/sink faucets in the respective forward and aft heads. 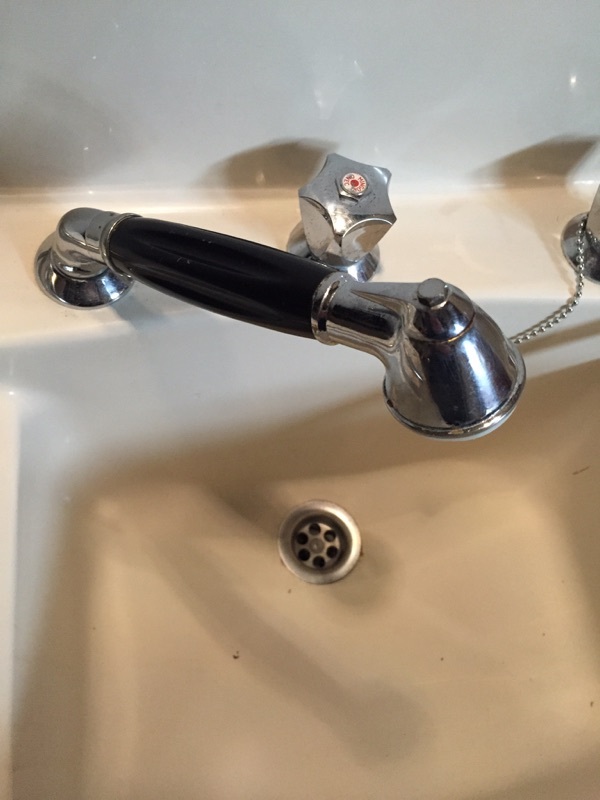 As you can see the old faucets were rusted, had some form of rubber cement blocking the non-shower setting and simply were not up to operational rigors – so I got new replacements from the same company (just 23yrs new!). 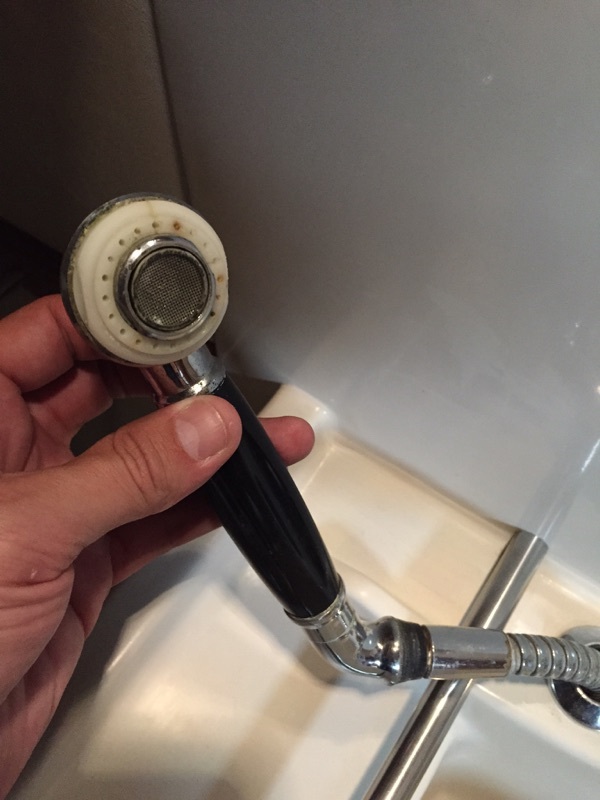 Now the water pressure and flow is perfect, and taking a shower onboard feels good!